The IT department of Dawat-e-Islami has developed this app: for android devices. The Majlis-e-IT of Dawat-e-Islami, global Non-political Movement for the propagation of the Holy Quran and Sunnah, has introduced many applications to serve the Muslim ummah.“Hayat-e-Raza” app provides a brief biography of Ala Hazrat, Imam-e-Ahle Sunnat, Imam Ahmad Raza Khan رَحْمَۃُ اللہِ تَعَالٰی عَلَیْہِ. 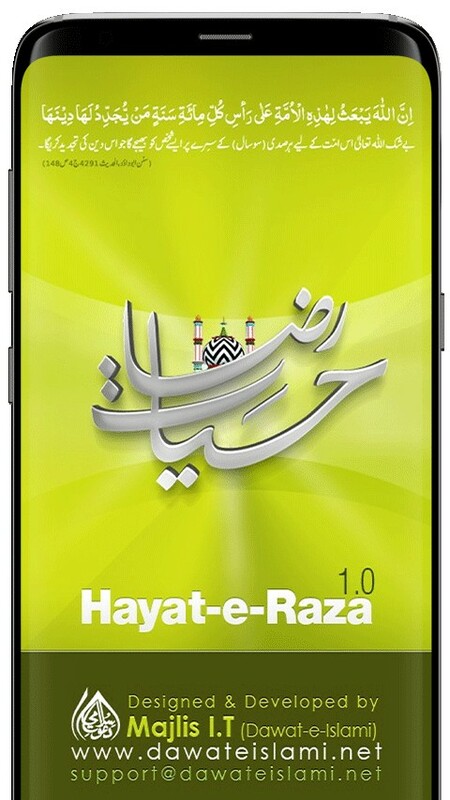 What is new in Hayat-e-Raza Application? · Love for the Holy Prophet and much more. Your feedback at support@dawateislami.net will be highly appreciated.